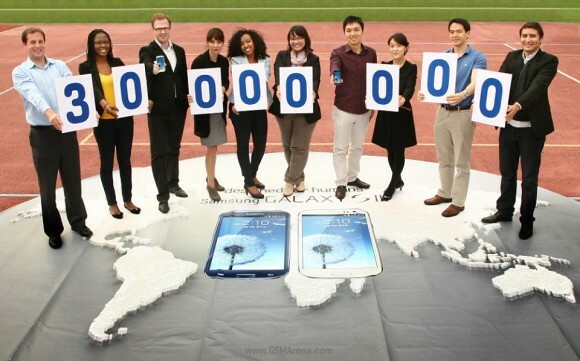 It’s been only slightly more than one month since the official launch of the Samsung Galaxy Note II and just a couple of weeks since the Malaysian launch but it looks like it’s doing really well with 3 million units sold worldwide. Of course, this is a small number compared to the iPhone 5 which hasn’t even reach our shores yet, as well as the Galaxy S III which sold 30 million units worldwide but it’s a significant milestone for the company and its giant smartphone. When the original Note made its first debut last year, it took four months for the company to sell 2 million units but this time round, it hit a whopping 3 million in about 40 days. As for the Galaxy S III, the company also announced that it has sold 30 million units so far. The number includes the I9300 as well as carrier specific versions available in specific markets such as the US, Japan and Korea. Just so you know, when the S III was launched here, it had a retail price of RM2,199. The official price then took a slight dip to RM1,999 and now if you frequent phone stalls, you can get it from as low as RM1,699. Our local telcos are also having promotions to get the phone at a cheaper price like Maxis’ recent SurfMore package or you can get it from RM1,099 from DiGi.